It’s easy to accumulate a number of monthly obligations that make budgeting more difficult. One solution is to talk with one of the loan providers who offer debt consolidation loans and arrange to bundle those individual obligations into one easy-to-manage debt. In order to get the most from the arrangement, debtors would do well to employ a few strategies designed to help them achieve greater financial security by the time the loan is paid in full. This article will discuss how a consolidation loan works, why people seek these loans, and suggestions for using the loan to become more financially stable. The application process for consolidations loans is a little different from other lending arrangements. Many lenders will require information about the current balances owed to other creditors. That information allows the lender to identify the amount that is needed to settle those other obligations. The loan may be secured or unsecured. If the applicant has a high credit rating, some lenders will not require collateral. With lower credit ratings, the need to pledge some type of asset, such as a vehicle or other belonging the lender considers acceptable, is necessary. Once the loan is approved, the lender often takes on the task of distributing the funds to each of the creditors. The debtor receives confirmation that the payments are remitted and can verify receipt with each creditor. After the distribution, the debtor makes monthly installment payments to the lender until the loan is paid in full. Consumers have different reasons for seeking consolidation loans. It’s not unusual for an applicant to approach a lender for more than one reason. Simplify the Monthly Budget – fewer obligations to track makes it easier to manage the budget. Lock in a Lower Interest Rate – the rate applied to the consolidation loan could be significantly lower than the cumulative rate associated with all those individual debts. Consolidation will mean repaying less in interest charges. More Affordable Monthly Payment – the loan payment often amounts to less than the total monthly payments made on the recently settled debts. 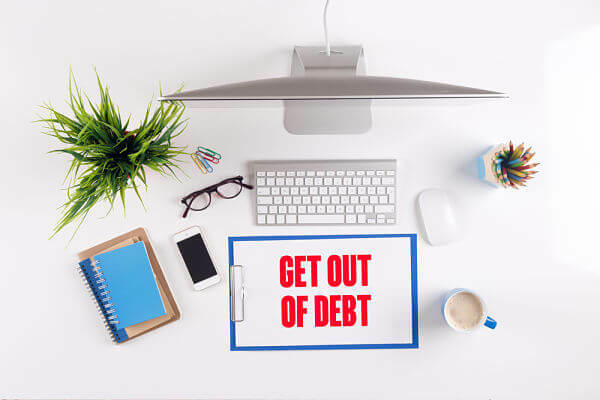 Retire the Debt Sooner – the right consolidation arrangement makes it possible to be out of debt faster than continuing to pay multiple debts each month. Avoid Incurring New Debt – Unless an emergency arises, the debtor should refrain from running up new balances on those recently settled credit cards. Operate On a Cash Basis – Plan a budget that makes it possible to live with no more than 90% of the monthly net income. Pay for purchases using cash or a bank debit card rather than reaching for a credit card. Save the cards for emergencies only. Make Deposits to a Savings Account – the 10% not set aside for the budget should be diverted to the savings account. This builds cash reserves that can be used to deal with emergencies instead of relying on credit cards. Make the Loan Payments on Time – Timely payments translates into positive comments on credit reports and enhances the FICO score. Finding the right lender for a consolidation loan is simple. Work with a provider who has an extensive loan directory of lenders who specialize in all sorts of lending arrangements, With the help of a professional, it won’t take long to find a lender who offers the best terms, processes loan applications quickly, and reports the loan activity to at least one of the major credit bureaus.